as I am heartily tired of bachelor life. My June release Undercover Bride is a mail order bride story with a twist. Maggie Michaels is a Pinkerton detective working undercover to nab the Whistle-Stop Bandit. To do this she is posing as his mail order bride. The clock is ticking; if she doesn't find the proof she needs to put him in jail, she could end up as his wife! My heroine has a good reason for doing what she's doing, but what about the thousands of other women during the 1800s who left family and friends to travel west and into the arms of strangers? The original mail order bride business grew out of necessity. The lack of marriageable women in the west was partly responsible, but so was the Civil War. The war not only created thousands of widows but a shortage of men, especially in the south. As a result, marriage brokers and “Heart and Hand” catalogues popped up all around the country. Ads averaged five to fifteen cents and letters were exchanged along with photographs. It took ten days for a letter to travel by Pony Express and often the wax seals would melt in the desert heat, causing letters to be thrown away before reaching their destinations. According to an article in the Toledo Blade a lonely men even wrote to the Sears catalogue company asking for brides (the latest such letter received was from a lonely Marine during the Vietnam War). Marriage was thought to be the only path to female respectability. Anyone not conforming to society's expectations was often subjected to public scorn. 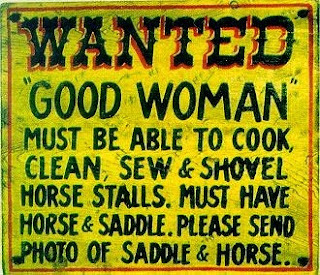 Women who had reached the "age" of spinsterhood with no promising prospects were more likely to take a chance on answering a mail order bride ad than younger women. For some mail-order couples, it was love (or lust) at first sight. In 1886, one man and his mail order bride were so enamored with each other they scandalized fellow passengers on the Union Pacific Railroad during their honeymoon. Not every bride was so lucky. 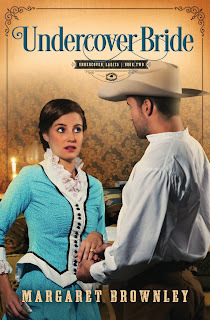 In her book Hearts West, Christ Enss tells the story of mail order bride Eleanor Berry. En route to her wedding her stage was held up at gunpoint by four masked men. Shortly after saying “I do,” and while signing the marriage license, she suddenly realized that her husband was one of the outlaws who had robbed her. The marriage lasted less than an hour. Women weren't the only ones who could be duped. Ads popped up warning men not to be seduced by artificial bosoms, bolstered hips, padded limbs, cosmetic paints and false hair. Despite occasional pitfalls, historians say that most matches were successful. That's because the ads were generally honest, painfully so in some cases. If a woman was fat and ugly she often said so. If not, photographs didn't lie (at least not before Photoshop came along). There may have been another reason for so much married bliss. A groom often signed a paper in front of three upstanding citizens promising not to abuse or mistreat his bride. She in turn promised not to nag or try to change him. 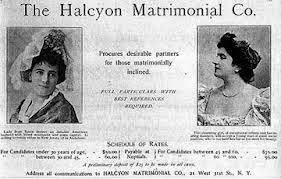 No one seems to know how many mail order brides there were during the 1800s, but the most successful matchmaker of all appears to be Fred Harvey who, by the turn of the century, had married off 5000 Harvey girls. 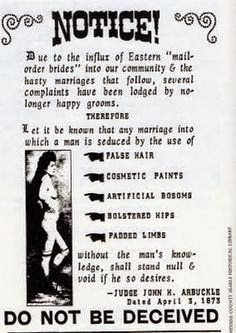 Had you lived in the Old West under what circumstances might you have considered becoming a mail order bride? Wild West Guns and Grins or How the West Was Fun. Another Pinkerton Lady Detective is on the case. This time the female operative masquerades as a mail-order bride. Pretty funny overall plot to begin with, so expect some fun reading while the detective team attempts to unmask a pair of train robbers and murderers. That's how Margaret Brownley writes. 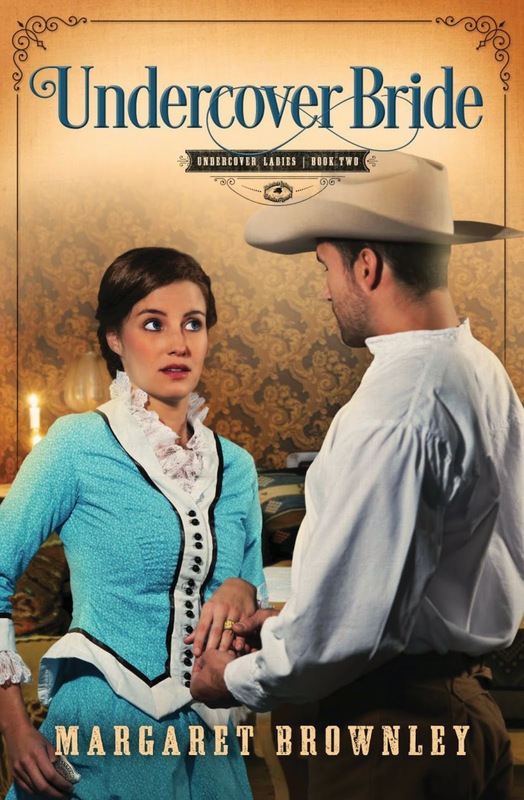 Western mystery with humor rolling throughout, like tumbleweeds on Main Street. I think the modern version of mail order catalogs are the online dating sites and I have a couple of friends who met their husbands that way. Hi Sharon, yes, I like reading about them, too. Thank you stopping by and have a great day! I love reading about Mail Order Brides! They are just interesting, the ups and down struggles of getting to know one another and then the usually falling in love! This one sounds fantastic! As are all of your books! I love the humor in them! Hope to get this one read and reviewed on my blog! I couldn't get the post to go through on my wordpress so I used my husbands blog! Hi Joy, I love mail order brides, too. I would love for you to review. Thank you! Joy, I've been to your wonderful website and have purchased several books based on your reviews. I especially appreciate that you don't give away the plots.